Last night, my sons and I attended a NJ BioPharma Networking Group (NJBPNG) meetup at the Princeton Sports Bar and Grille. NJBPNG is an ad hoc LikedIn group, which you can join (here). This group is mostly comprised of senior pharmaceutical executives in the research side of the drug industry (click on infographic on the right for more NJBPNG demographics). It was a good night out with my sons, but not so upbeat for most of the people I met there, many of whom are out of work -- including PhDs, organic chemists, and project managers. When meeting new people I usually ask "What do you do?" The most frequent answer I received last night was "I'm in transition," which is one of those "Awkward Euphemisms" for out of work and looking for a job (see other euphemisms listed by Michael Spiro, a professional recruiter, on his blog here). When I asked "Why? ", the response was either mergers and acquisitions or outsourcing, which, I note, was the specialty of Bain Capital in its glory years. Sorry, I just had to throw in a Romney reference and relate "Bain" to "Bane" (i.e., the super-villain nemesis of Batman). Seriously, outsourcing in the pharmaceutical industry is on the rise. Clinical research is being outsourced to countries like India, and China. Basic research is also being outsourced to startup companies and academia and maybe even overseas. I also met a few people who are doing very well, thank you. One was the owner of a sales outsourcing agency that specializes in non-personal pharma sales and marketing; i.e., sales calls done by phone via a call center. "This year has been my best year ever," said this person. He's been doing this for several years. In fact, his prediction for the future of live sales reps is dire: "they will disappear." Frankly, I had hoped that my son -- a recent Penn State Smeal College of Business graduate -- would make some connections at the meetup that could help him find a job. He doesn't have any pharmaceutical experience, which is what a young recruiter attendee was looking for. Perhaps my son should become a recruiter -- if you aren't qualified for a job, maybe the next best thing is finding a qualified person. But we learned of one job that my son IS qualified for: one of those people on the phone at the call center mentioned above. It turns out that this is a low-paying, entry-level job paying about $20 per hour. You don't have to be a nurse or former pharma sales rep. In fact, such people are over qualified for this sort of non-personal sales and marketing. Just like young, entry-level commercial airline pilots bunk together in small apartment nearby airport hubs, young call center employees relocate near the call center and share low-rent apartments. Sounds like Penn State to me! What advice should I give my son? Should he apply for a job at the call center? it all depends on his mid and longer term goals i believe that any sales job gives s you a good grounding in business and doing it for a year he learns about this growing business and maybe there are some opportunites for management. I agree with the previous comment. It really depends on his longer term goals. 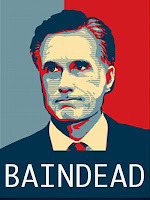 I love your reference to Romney and Bain! but to be fair all the M&A and downsizing in pharma in the last 4 years have occured on President Obama's watch. Both parties in Congress are responsible for the terrible economy people in transitio are dealing with. A job is better than no job, so perhaps. Cold sales calls are a skill that are not industry specific so there is something to be learned. One thing to keep in mind is that the glass ceiling sits rather low in call centers, so it is important to be realistic about where it may lead. Thanks for the comments. I will pass them on to my son. Hey John! Being a call center agent is a great stepping stone for him. This job will teach him how to deal with customers, how to make a deal, and most of all, how to be patient. Also, this will open new opportunities for him in the long run, and he can use this experience when he wants to start a business. I think it’s okay for him to start in a call center. Just like what Sonia said, it would be a good training ground especially for customer relations and marketing. It’s the learning experience that he needs to look for in finding a job first. After that, he can continue or shift to another industry.